The Lee Shaw Memorial Fund has been set up for donations under the umbrella of the not-for-profit Swingtime Jazz Society. A scholarship will be awarded yearly to a high school pianist pursuing jazz studies in college. Contributions to this scholarship fund can be made to: Swingtime Jazz Society and mailed to Patti Melita, Treasurer, PO Box 232, Troy, NY 12181-023 with Lee Shaw Memorial Fund in the memo line. Much has been written regarding this phase of Lee’s life. The links below are examples of the tributes to her life and the many who love her. 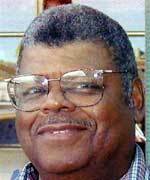 Michael Wicks passed away on Monday, December 15, 2014 after a long illness. A Schenectady native, Mike was a legendary bassist in the Capital Region. He was "first call" and principal bass with many symphony orchestras in the area and was a fixture and anchor of most of the Local 85-133 pit orchestras at Proctors Theater and other venues. 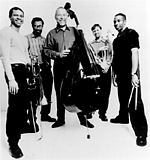 An accomplished jazz performer, composer, and singer, Mike performed with many groups in the region as a sideman and leader, performing with nationally known jazz artists Phil Woods, Chet Baker, Doc Cheatham, Bill Watrous, Sal Nestico, and Zoot Sims. Mike was an avid hiker and skier, known as the "Ski Wiz". He was a loving and devoted husband, father, and grandfather. Those wishing to remember Mike in a special way may make a memorial contribution to the National Pancreatic Cancer Foundation, P.O. Box 1848, Longmont, Colorado 80502(www.npcf.us) or a charity of your choice. For many a jazz lover, regardless of age, there is a respect for the music's tradition and it's evolution regardless of their individual preferences in jazz styles. Some like Swing, others Dixiland and still others prefer Bop, Hard Bop, Third Stream, Retro-Bop, Jazz-rock or experimental/ atonal jazz. However, all jazz lovers regardless of preferences respect a young up and coming musician who has focused and dedicated their love and life to furthering the jazz idiom ... continue. The region's robust jazz scene was featured in a recent cover story in the Albany Times Union "Preview" section. The article was accompanied by a photograph that featured many of the area's jazz musicians, photographers, journalists, deejays, and concert promotors in tribute to Art Kane's iconic "A Great Day in Harlem" photo. 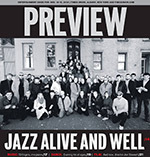 Thank to the Albany Times Union newspaper for running a piece on albanyjazz.com in a recent paper. Writer Alexander Stern delved into the history of the site with several of our contributors. Saxophonist and journalism student Jeff Nania recently sat down with Joe Barna to discuss the drummer's current activities ... continue. Frequent albanyjazz.com contributor Tom Pierce has launched Vocaltraditions.com. The site is intented to "pay tribute to and share the work of passed artists and those keeping alive music's many glorious traditions. The primary focus is vocals of Jazz and Great American Songbook standards; but Jazz instrumentals, classic vocal group harmony, R&B and Soft Rock, among other types, are also included. The site will also provide news of the music activities the webmaster engages in to support the music." Salvatore Maida, 77, of Gloversville, passed away Thursday, June 10, 2010 following a long illness. Born August 12, 1932 in New York City, he was the son of the late Ignatius "Ned" and Belle Mongato Maida. Mr. Maida was educated in Glovers-ville schools and attended the Julliard School of Music in New York City. He subsequently attended Potsdam State University and was a graduate of the Crane School of Music. After teaching music for a short time, he realized playing jazz was his true passion. Sal was a professional jazz pianist all his life. 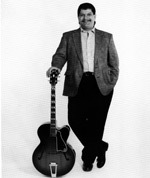 He has played along with Nick Brignola, Ed Wool and the Al Santora group in the capitol district. Sal especially enjoyed playing at the Sagamore, Saratoga Prime and Prime in Albany. Entertaining so many for so long, his talent and music will be sadly missed by all who knew him. Sal is survived by a stepsister, Joan Gifford of Gloversville; two uncles, Jack Mongato of Boynton Beach, Fla. and Anthony Vezzi of Gloversville; and an aunt, Martha Mongato of Caroga Lake. He is also survived by several dear cousins he shared so much with. Mr. Maida was predeceased by numerous other aunts and uncles. Expressions of sympathy in his memory may be made to Mtn. Valley Hospice, 108 Steele Ave., Gloversville, NY 12078. Please visit the family online guest book at www.brbsfuneral.com. Samuel M. Farkas, age 56, of Niskayuna, passed away unexpectedly on June 12, 2010. Sam is survived by his loving wife, Harriet; his two fabulous children, Seth and Alyssa; his sisters, Barbara Farkas and Dr. Eva (Russ) Briggs; and many friends and family. Sam's passion for music started in grade school and he played guitar, all fretted instruments, and sang. Sam played all kinds of music, but he was devoted to jazz. He loved teaching and took great pleasure in all of his students. Sam also owned Adirondack Strings for over 30 years. In lieu of flowers, donations may be made to The Leukemia and Lymphoma Society, Upstate New York/Vermont Chapter, 5 Computer Drive West, Suite 100, Albany, NY, 12205. To sign the online family guest book please visit levinememorialchapel.com. John "Jack" Fragomeni Jr., 57, of Cohoes, died unexpectedly late Saturday evening, April 4, 2009 at St. Mary's Hospital in Troy. Born and educated in Schenectady, he was a graduate of Mont Pleasant High School and received his bachelor's and masters degree's from the College of St. Rose. Jack is the son of Mary (Aragosa) Fragomeni of Schenectady and the late John J. Fragomeni Sr.
A professional musician, Jack taught at the College of St Rose and at Schenectady County Community College. He played in the Empire Jazz Orchestra and in Jazz clubs and festivals. Over the years, Jack learned and worked with several Jazz greats, Nick Brignola, Atilla Zoller and Bucky Pizzarelli. Jack was well known for playing jazz guitar at several area venues including the Van Dyke and the Grog Shop over the years. He was a member of the musician union and Our Lady of Mount Carmel Church. 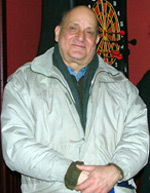 Besides his mother, Jack is survived by his wife of 18 years, Roswita (Apkarian) Fragomeni of Cohoes; his brothers, Mark L. Fragomeni (Michele) of Malta and Father Richard Fragomeni of Chicago; his nephews, Michael and Jason Fragomeni and Jacob Apkarian and nieces, Nicole Fragomeni and Sophie Apkarian. The Capital Region jazz scene lost one of it's most ardent supporters with the passing of Butch Conn. Butch was the driving force behind A Place For Jazz, the organization whose programs have included a fall concert series, public workshops, school-based clinics and general support of jazz and its musicians for nearly 20 years. He wil be missed. The Capital District music community mourns the loss of David Friedman who passed away unexpectedly earlier this year. 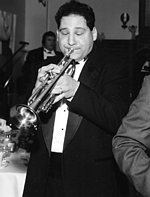 David was a founding member of the Empire Jazz Orchestra and played with several local bands including The Joey Thomas Big Band, City Rhythm, New York Players, The T.S. Ensemble and Alex Torres and the Latin Kings. He will be missed by all who knew him. 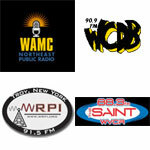 Interested in contributing to albanyjazz.com?